The Santa Cruz Area Chamber of Commerce champions the issues that impact the Santa Cruz county economic community. 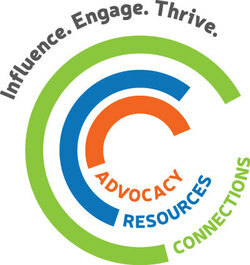 As the local voice for the county's businesses, the Chamber advocates on issues that drive economic vitality, provides information, ideas, and resources that help businesses navigate a competitive environment, and creates opportunities for business people to connect and forge relationships that strengthen their businesses and careers. Since 1889, the Chamber has worked to make Santa Cruz County a better place to work, live, and visit. ​The Chamber provides programs, resources, and momentum in 3 key areas to promote the economic environment in Santa Cruz County. The Santa Cruz Area Chamber of Commerce represents more than 15,000 jobs across every sector of the local economy and throughout the entire county, from Davenport restaurants to Pajaro growers, from Capitola village shops to the mountain wineries, and from downtown Santa Cruz businesses to UC Santa Cruz. Our members include all types of businesses from one-person shops to organizations of more than 2,500 employees. Our mission is to provide advocacy for important issues that affect the success of all Santa Cruz businesses, as well as protecting our natural resources and the health and well-being of the families in Santa Cruz County.